AMS supply state of the art lightweight gas cylinders using the latest technology. 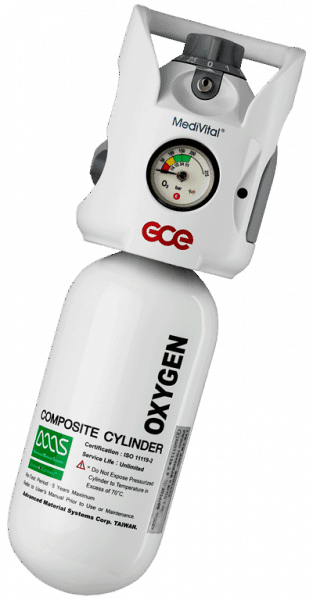 Our cylinders are used all round the world in healthcare for oxygen therapy, by emergency services for breathing air and for the emergency markets. Backed by extensive and world leading research and development teams, we offer both carbon composite and aluminium cylinders which can be customised to your specific requirements. Advanced Material Systems, founded in 2006, is a leading designer and manufacturer of composite products based in Taiwan. 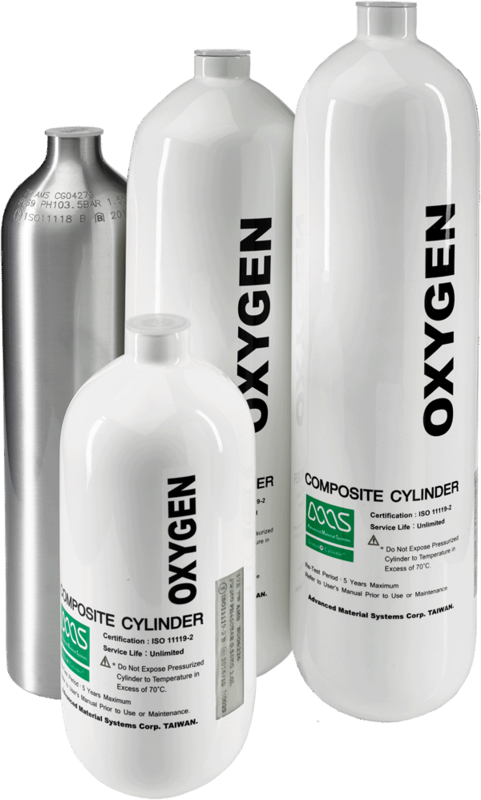 The company focuses on the design and mass production of composite pressure cylinders for a variety of applications. The strength of the company is in combining a strong R&D knowledge with extensive experience in mass production. The company is renowned for its engineering excellence. It currently has 18 engineers on staff, many with a PhD or with Engineering degrees from the top universities in the world. Many have tens of years of composite experience in fields such as Structural Engineering or high precision sports equipment. Distribution and customer service in the UK and Europe is handled by AMS Composite Cylinders staffed by a team with many years’ experience in the gas supply and medical device industry. Our cylinders are now in service around the world namely in North America, UK and Europe, Australia, Dubai, UAE, South Korea, Malaysia, Singapore, China and Taiwan. Our priority is serving our customers and we offer both standard and customised products to meet your specific needs. Once in receipt of an order we jointly sign off on the specification so that you can be assured that the product you order will be delivered. Weekly on line updates are then available so that you can track your order and be reassured that delivery will meet your needs. AMS cylinders are produced in state of the art production facilities, using materials sourced from industry leading suppliers. We offer audit and inspection opportunities to all customers and welcome collaborative approaches to ongoing development. Additionally, we continue to partner with major global and national gas companies to develop solutions for their industries and customers. AMS ensure fully audited quality management systems are in place throughout our business. All cylinders are produced to recognised standards appropriate to relevant geographies, applications and markets. Please take a closer look at our Global Ultralight Composite Cylinder with full ISO, DOT and other approvals.